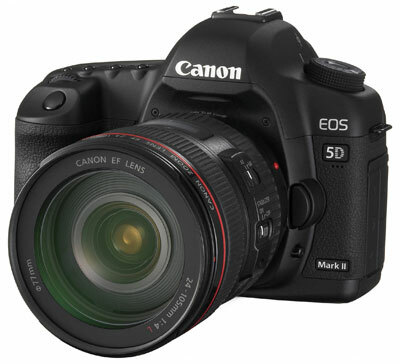 Canon 5D is in talk-shows in Telugu channels, Telugu print media and also in the Tollywood (telugu film industry) since last week. The reason is, Director Ram Gopal Verma (RGV) who previously demolished the old format and the old grammer of the telugu movie making procedure with his debut film SHIVA (1990), once again changing the film making system from the regular movie camera to DSLR Canon 5D. As he was announced, he completed the film shooting in 5 days and ready to release that on this 18th, Movie title is "Dongalamuta" (Gang of thieves). total cost of the movie is just INR 6 lakhs 50 thousand rupees where in 65,000 he paid as rent for 5 Canon 5D cameras, as he was shot the movie with 5 cameras in 5 angles in natural light. The movie is already got a hit talk, if we talk based on business he will get more more money in return compare to his investment for the movie. the movie is going to release in hundreds of theaters in Andhra Pradesh on 18th. there is no doubt one show will give him more money after the release. the star cast also very attracting, as one of the top hero of Telugu movies Raviteja and the top best actor Prakashraj, Glamour beauty Charmi was acting in main roles in the movie. RGV convince all these actors to give profits from the movie not any pre-remuneration which it self reduced the film budget. No cost for big settings, no cost for big star cast, no cost for lightnings, No director of photography, no assistants etc., he showing the new way in film making. since this type of movie making is not new, i have saw in youtube and on net from amateur and professional photographers, so many clips. but now this technic adopted by the big film director in India is sounding and resounding in Indian film industry specially in South India. I remembered when Shiva was released, i was in my college days, we were wondered with his shots, photography values in the movie. and we never seen the study-calm shot before that, he was first introduced in telugu movies. after that only we came to know, dissolve, fade, sunlight, light cutters, spot light, super impose etc., etc., film words. There is a hope and expectations in the industry that this movie will guide new producers and movie enthusiasts to how to reduce the film budget. and definatly this will give more inspiration for the young flim makers, amateurs to fulfill their dreams with this new method experiment. So, Movie making is as easy as click a snap, Now.